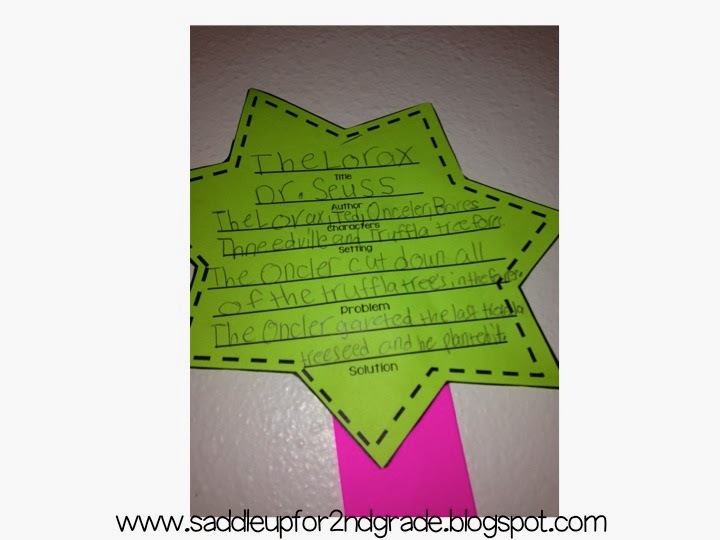 Everything Dr. Seuss and a FREEBIE! Look at me blogging 2 days in a row! 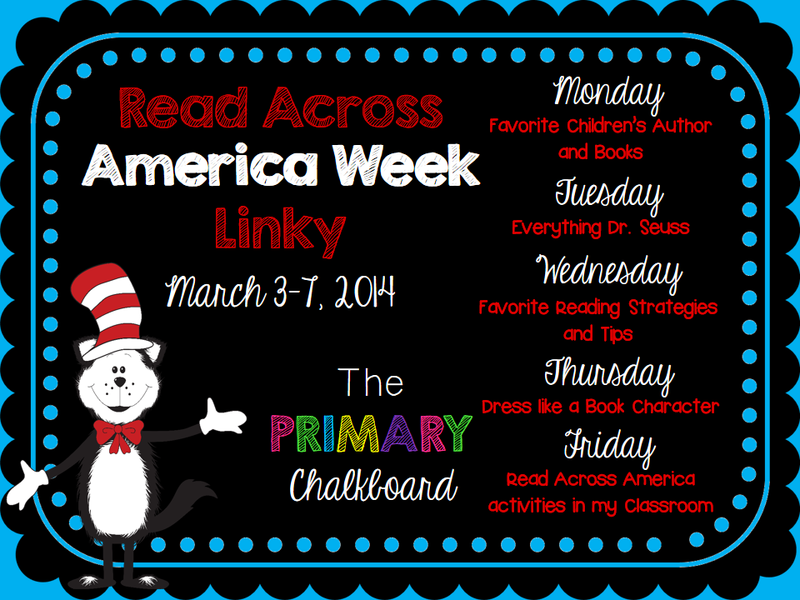 I’m back for Everything Dr. Seuss hosted by the Primary Chalkboard! I absolutely LOVE Dr. Seuss and love that my kids enjoy his books but I didn’t go all out this year. I’ll be honest…I’m tired. I’m wore out. I normally decorate but this year I just didn’t have the time. Plus, our spring break is next week (WOOHOO!) and I didn’t want to decorate for only a week. I bought some cute pencils and erasers that I got at the Target dollar spot and passed them out Monday morning. They get so excited over a new pencil! 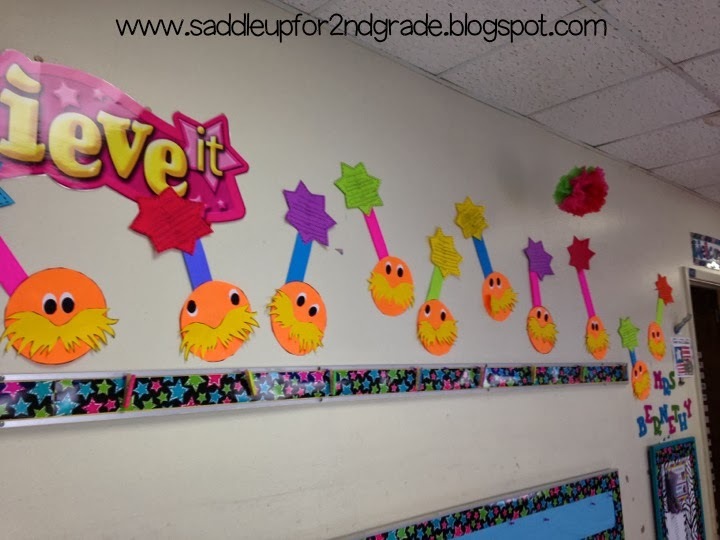 Each day we are reading a different Dr.Seuss book and doing a short activity for each one. Here is what we’re reading. I tried to pick stories that they may not have heard a 100 times already. On Monday, we watched a youtube video of The Lorax. I didn’t have this book and didn’t have time to order one so I turned to youtube and found a reading. You can click here to see it. After, we made a story element craft! Just a little FYI! I am super excited about how cute these turned out. I found this idea on Pinterest and could only find a picture and no source (I hate it when that happens). I decided to make my own. Want this creativity?!? You can get it in my latest product. Happy Birthday Silly Cat! Oh, and guess what? Its FREE! Thats right! FREE! I’ve recently hit my first major milestone on TPT and I couldn’t have done it without my loyal followers. 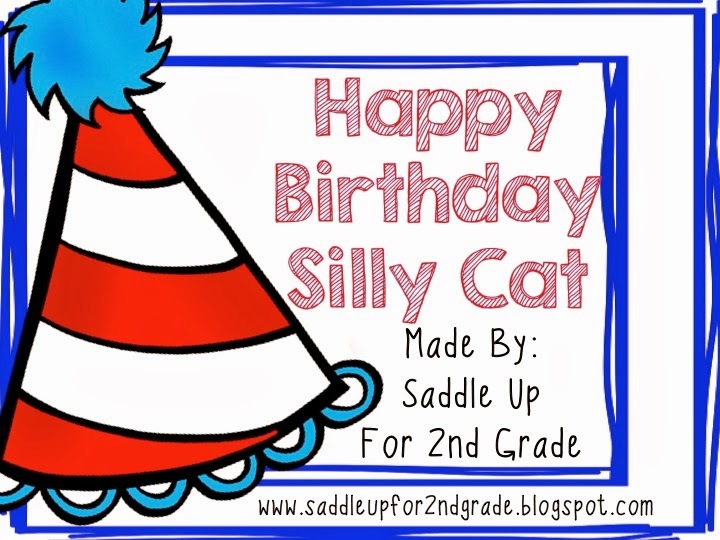 Happy Birthday Silly Cat is to say THANK YOU! I appreciate all of your support so much! With this unit you’ll get printables for any book by your favorite author. 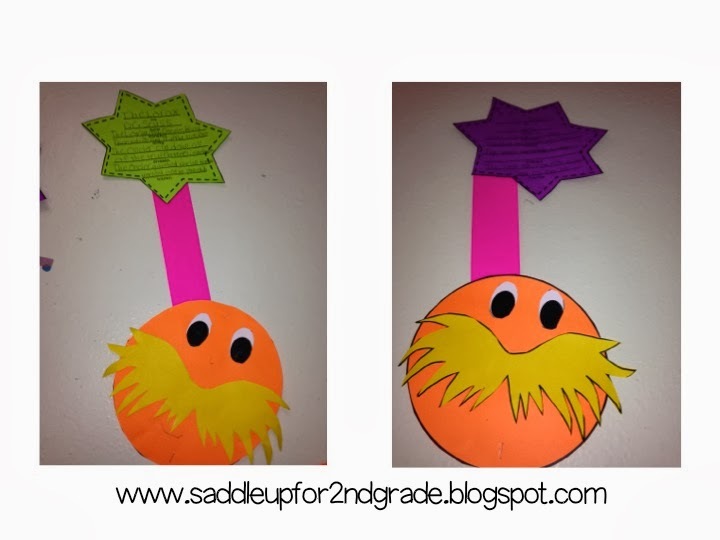 *I go the mustache for the Lorax craft from Suesstastic. Click here to grab her freebie! I hope you can use this in your classroom somehow. Don’t forget to leave me feedback. I love hearing what you think! I’m off to watch The Voice! Happy Tuesday friends!